The trio of Mukhi Sisters design jewellery with an attitude. 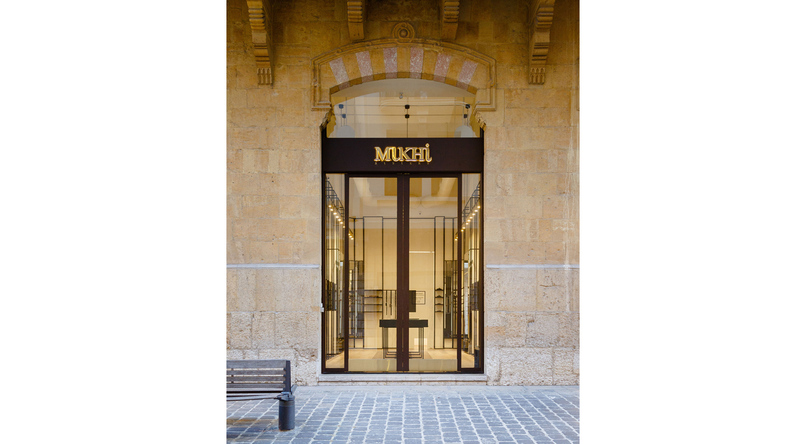 The new store, located at a prime location in Downtown Beirut, talks the same language, reflecting the brand’s ethos and creative aesthetics. The highly aestheticized design aims at an inviting space and a warm backdrop for displaying jewels that marry vibrant ethnic with urban chic. Cocooned in the world of Mukhi sisters, away from the chaos outside, the modern store ingeniously functions to throw the spotlight on the contemporary, edgy, playful jewels. 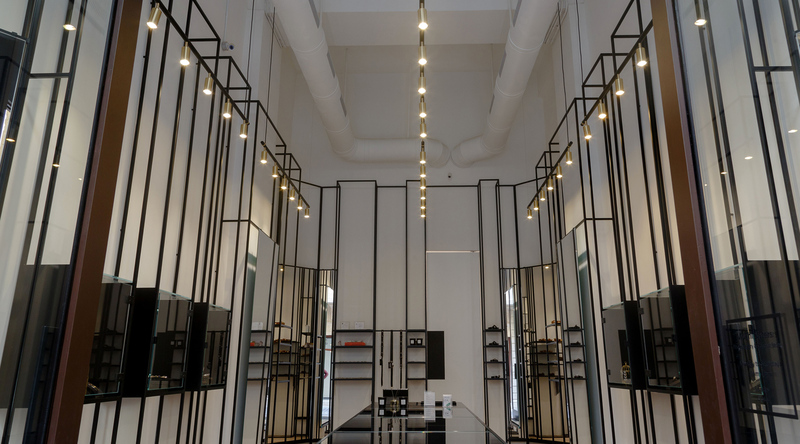 Providing a contemporary store front to the rich and historic oriental façade of the Municipality Beirut building, the 50 meter squared store showcases a minimalist, undeviating design perfectly emphasizing the jewelry and encapsulating the brand’s ethos and creative aesthetic. 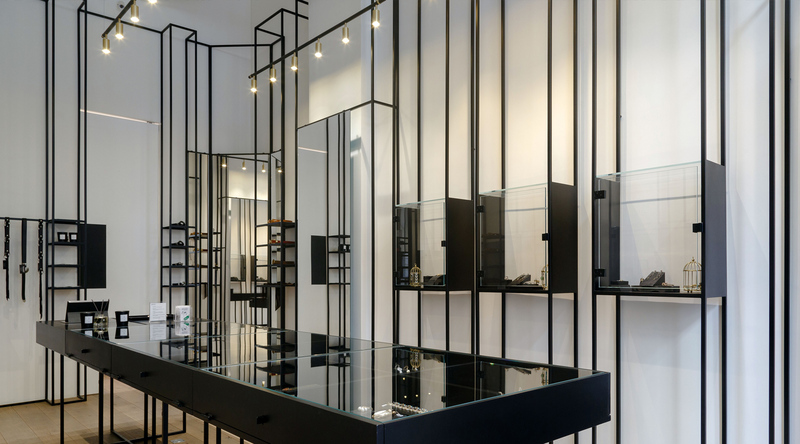 Linear structures form the basis of the interior design with understated black steel and glass cabinets cocooning the rare jewels, away from the hustle and bustle of the city streets outside. The design mirrors the inspiration behind the collections whereby minimal meets seductive and the prominence remains on the beauty of the colors and materials used within the work. 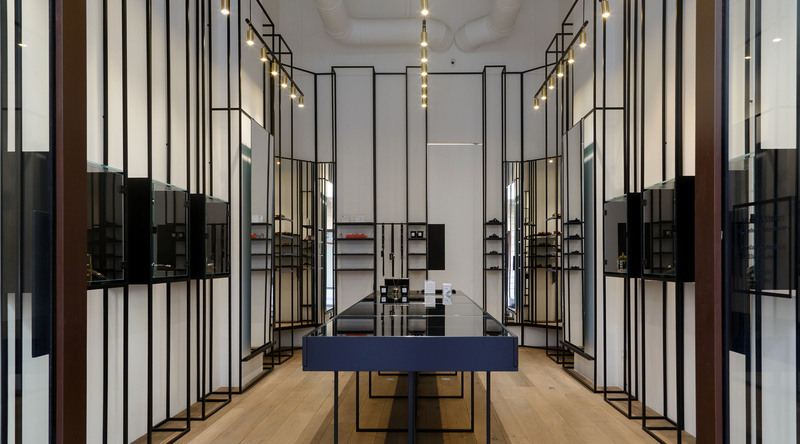 The centre of store is filled by a synonymously designed black rectangular table with steel square legs showcasing bracelets, rings and pendants. 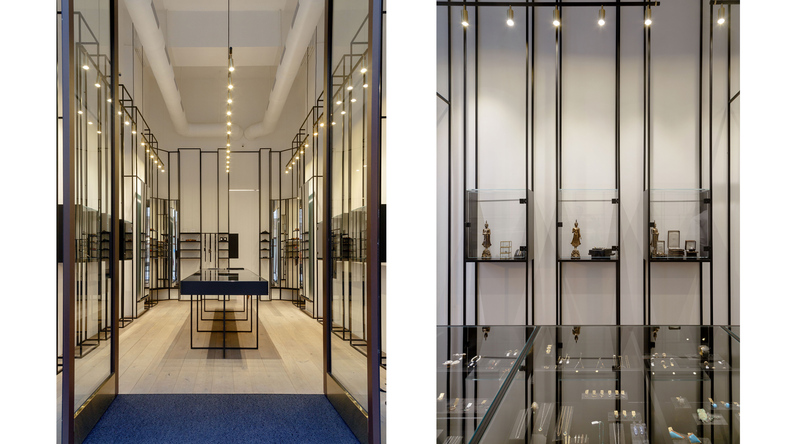 The parquet flooring and gold track lighting finish off the sleek space and further accentuate the feeling of lightness within the store. By capturing the jewelry style of Maya, Meena and Zeenat, RG/A has created an alternative Mukhi Sisters universe where the language and attitude of the brand is reflected by the surrounding environment.